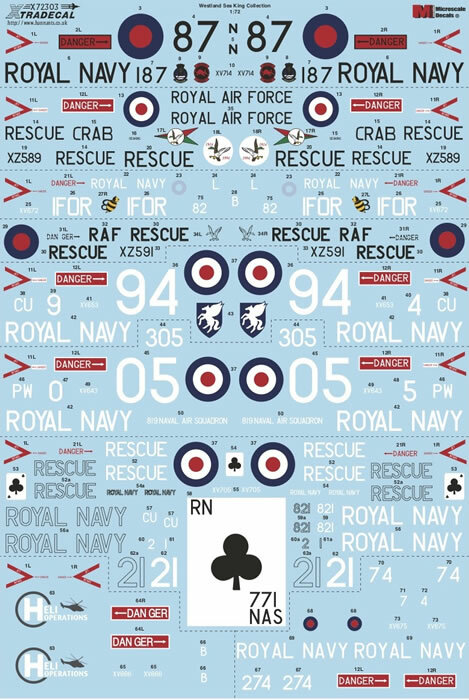 High quality decals; full colour instructions; includes a variety of colours and markings. 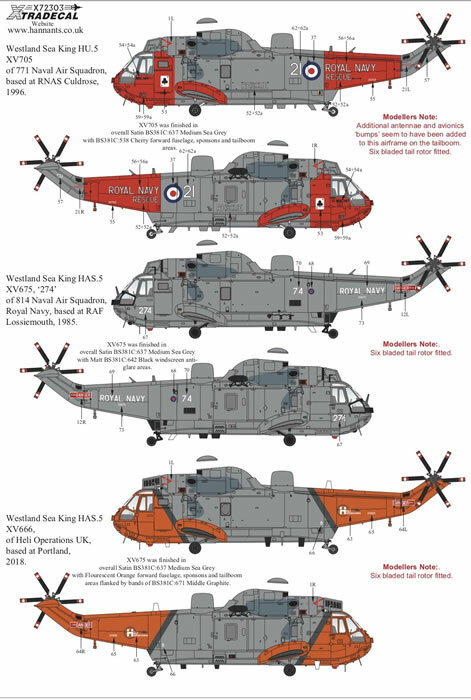 A high quality decal release for the new Airfix 1/72 scale Sea King family. 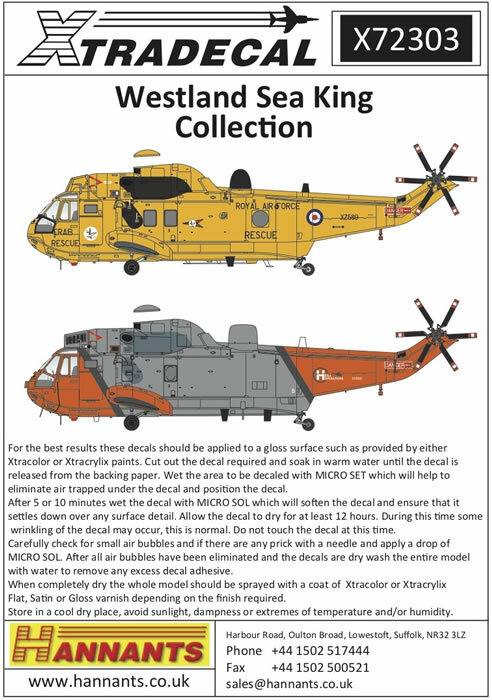 Xtradecal has released a new decal set with nine new options for the very nice 1/72 scale Airfix Westland Sea King kits. 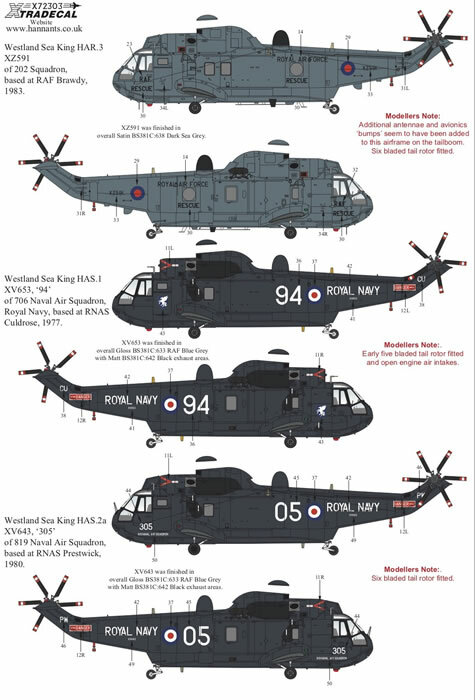 This offering covers the HAS.1, AEW.2, HAS.2a, HAR.3, HAS.5 and HU.5 variants from 1977 to the present day. 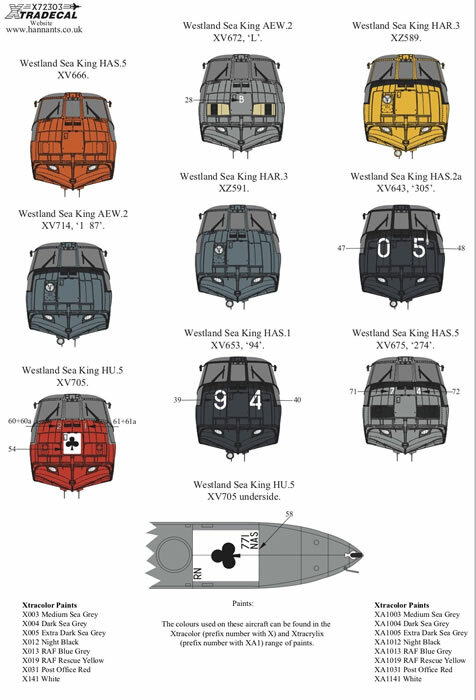 Several styles of roundel are also included. Left and right views are offered for all nine subjects, while nose views and variations are also included. 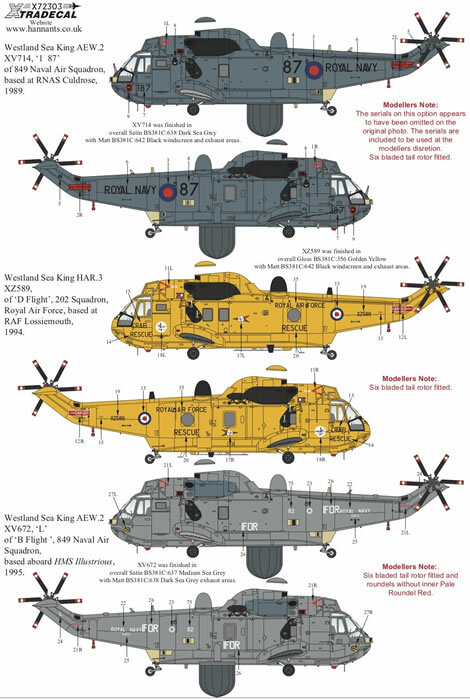 This is a high quality decal release for the Airfix Sea King family.